Voltaire brings together patent-pending artificial intelligence and machine learning to bring you information and insight fast. Here are just some of our outstanding features for legal professionals. Voltaire combines powerful artificial intelligence and machine learning to give you the big picture fast. Our jury research software has access to over 1 billion data points, giving you the most complete information possible on each individual, with unmatched speed & accuracy. Get actionable intelligence fast with our Risks, Factors and VTInsights™. 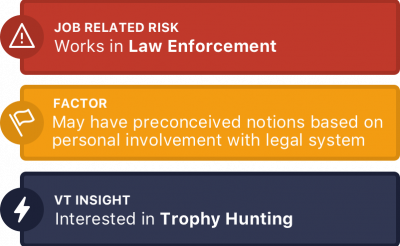 We’ll highlight hidden risks and potential biases before you make your selection, enabling better decision making and the ability to maximize your strikes. Voltaire uses psycholinguistic and behavioral analysis to identify personality traits and issues that you can’t afford to miss in trial. In trial, your team cannot afford to be one dimensional. Unlike services that rely primarily on social media data, Voltaire accesses a variety of sources to give you a more thorough understanding of each individual. Since more information leads to better decisions, we’ve stacked the deck in your favor when it comes to jury research & voir dire. 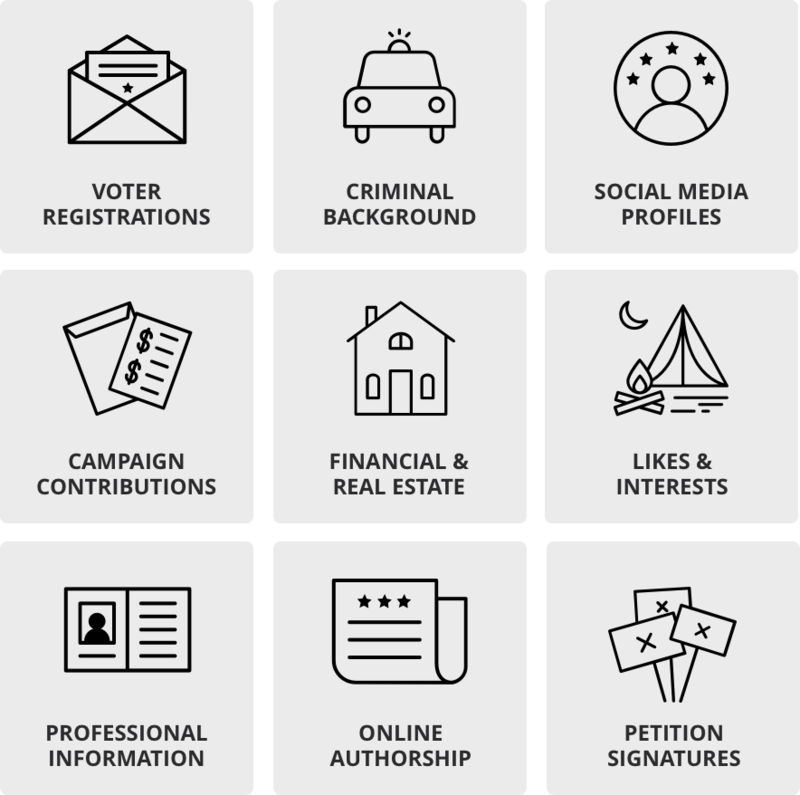 In order to give you the most complete picture, Voltaire examines educational background, employment history, voter registration, social media & original authorship, criminal background, property ownership and much more. Combine your expertise with our information and analysis and you’ve got a winning team! Organize all your information in one easy-to-read report. You’ll get everything you need at a glance. Voltaire’s intuitive reporting allows you to focus on the big picture, with the ability to drill down to an impressive level of detail, when needed. Identify and highlight risks, factors and other insights that provide the deep analysis you need, quickly. Organize your information by case, for easy reference. 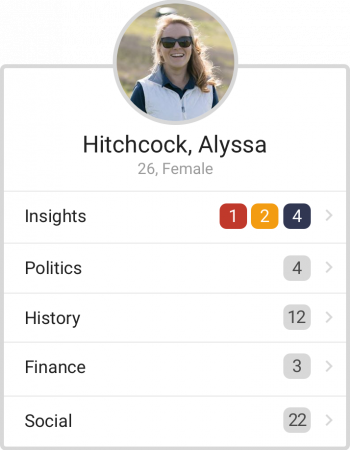 View all your reports live in the Voltaire app, or download them in PDF format. Customize your reports and add important information, as well as visualize your jury with our Visual-Voir-Dire™ functionality. Take full advantage of the power of the cloud. Now your entire legal team can access all the data, record notes on individuals, organize and seat the ideal jury, and collaborate like never before. Work from anywhere you can get online, including from your go-to mobile device. Include experts, staffers, and researchers on your team and give them the ability to contribute instantly from anywhere. Eliminate the “David vs. Goliath” mentality and avoid the perception of a stacked bench. Decentralize research and collaborative effort without leaving a negative impression on the court. Find risks and hidden bias that would otherwise be impossible to uncover. Make your entire team more persuasive to the jury. Screen for conflicts, previous histories & backgrounds and spot potential problems before they occur. Maximize your for-cause opportunities and preserve your preemptories. 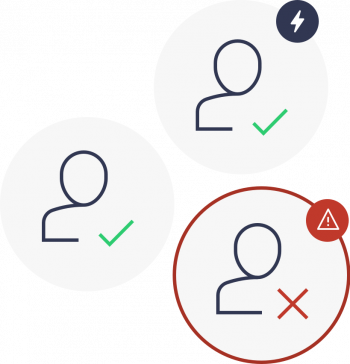 With Voltaire, you’ll be able to better understand the jury pool, seat a better jury and justify your for-cause opportunities. Voir dire will never be the same. Ready to get started with Voltaire?